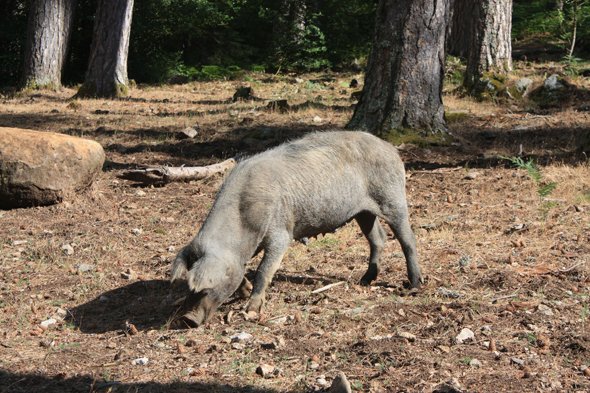 A pig in the forest of Aitone. Generally, The Corsican pig stays outside, winter as summer. It is a big amateur of sweet chestnuts of undergrowth.